This set of proposed regulations contain a completely new section containing the rules that will be applied to all retail marijuana establishments providing an area for customers to consume marijuana and marijuana products. This article will contain the actual released proposed regulation as well as a break down of what each of those regulations mean. 3 AAC 306.370 Creates regulations to allow for an Retail marijuana licensee to apply for an onsite consumption endorsement, allowing for marijuana consumption in an area within or attached to the retail store. 3 AAC 306.990 proposes to define “marijuana consumption are” and “retail marijuana store premises”. 306.370 Onsite Consumption endorsement for retail Marijuana stores. (3) Allow a person to remove from the licensed premises marijuana or marijuana product that has been purchased on the licensed premises for consumption under this section, provided it is packaged in accordance with 3 AAC 306.345. (9) Sell, offer to sell, or deliver an unlimited amount of marijuana or marijuana product during a set period of time for a fixed price. (12) Advertise or promote in any way, either on or off the premises, a practice prohibited under this section. (E) Adequate separation from non-consumption parts of the retail marijuana store and consistent with # C 306, 3709(a)(1). (d) An application for a new onsite consumption endorsement must meet the requirements of 3 AAC 306.025(b) and include in that notice the license number of the retail marijuana store requesting the endorsement. (e)The non-refundable fee for a new or renewal for onsite consumption is $1,000. (7) Label all marijuana or marijuana product sold for consumption on the premises as required in 3 AAC 306.345. (g) The right of local governments to protest the issuance or renewal of individual retail marijuana store onsite consumption endorsement is separate from the right to protest the issuance of a retail marijuana store license. Note later than 60 days after the director sends notice of an application for a new or retail onsite consumption endorsement, a local government may protest the application by sending the director and the applicant a written protest and the reasons for the protest. The director may not accept a protest received after the 60-day period. If a local government protests an application for a new or renewal onsite consumption endorsement, the board will deny the application unless the board finds that the protest is arbitrary, capricious and unreasonable. (h) A local government may recommend that the board approve an application for a new or renewal onsite consumption endorsement with conditions. The board will impose a condition recommended by local government unless the board finds the recommended condone to be arbitrary, capricious and unreasonable. If the board imposes a condition recommended by a local government, the local government will assume responsibility for monitoring compliance with the condition unless the board provides otherwise. (i) The holder of an onsite consumption endorsement must apply for renewal annually at the time of renewal of the underlying retail marijuana store license. (1) Sell marijuana and marijuana products that are NOT concentrate to customers to consume in the retail establishments consumption area. The consumption area must be completely separated from main retail store by a wall and a securely closing door. It may also be unattached from the regular store completely. The consumption area must have a completely independent ventilation system dedicated solely to the purpose of clearing the air of the onsite consumption area. (A) No more then 1(one) gram of flower or bud in a single transaction, as long as local laws don’t prohibit it. (1) Sell any concentrates for consumption onsite. (3) Allow consumption of tobacco in the consumption area. (4) Allow drunk or intoxicated persons to enter or remain in consumption area. (5) No supplying marijuana to an intoxicated person. (6) Allow any marijuana or marijuana product that is NOT purchased in the retail store to be consumed in the consumption area. (no bringing marijuana from home to consume or share). (7) Supply or sell marijuana or marijuana product to someone that has already purchased for consumption purposes. (no going back for “seconds”). (8) No sales for onsite consumption only, if it isn’t on sale for regular customers, it can’t be on sale for customers planning to consume onsite. Both onsite prices and regular store prices must match throughout the week. (no Friday specials for consumption customers only). (9) No happy hour or “all you can consume for one price” deals. (12) No advertising or promoting in any place or in anyway, any prohibited acts that were listed in this section. (iv) Plans to keep minors out. (B) If Smoking is to be allowed in the consumption area, ventilation plans must be. (i) Signed and approved by a mechanical engineer. (ii) Must be able to remove any visible smoke. (iii)Must meet all local building codes and ordinances. (i) The consumption area must include a smoke-free area for any employees monitoring the consumption area. (ii)The consumption area must be completely outdoors or have a wall completely separating the consumption area from the regular retail store area, and be accessed with a secure door. (D) How unconsumed marijuana will be disposed of, and how it will be packaged for customers choosing to take it with them. (E) Plans for how marijuana not purchased in the retail store will be kept out of consumption area. (B)Ventilation exhaust, showing where the smoke will be exiting the building. (C) Doors, windows, and any other exits. (D) Access points, and how traffic will be controlled with them. (E) Plans for adequate separation between consumption area and retail store. (d) The application must meet all the same public notice requirements that a retail establishment must meet, and retail license number must be placed on the notice. (e) Pay the $1,000 license fee, this is the same as the renewal fee. 3 AAC 306.740 and following the the facilities operations plans. (2) Have a ventilation system that sends the consumption areas tainted air outside with a filtration system strong enough to reduce odor. (3) Have a security plan to keep underage people out. (5) Must have all warning signs displayed to be visible to all customers. (6) Have written literature (pamphlets, fliers, or rack cards) for “how to” information on dosage and “how to consume safely” for each type of marijuana or marijuana product sold. These must be supplied free to all customers. (g) If a member the public would like to protest both the retail store and the consumption endorsement, they must do it in two completely separate actions. Within 60 days of when the Director sends notices to the local governments is the timeframe the locals can protest. To do so they must send the director and the applicant a written protest, if received outside of that 60 day window it may not be submitted for review by the board. If a local government does protest a license, the Board will not approve the endorsement unless the request is found to be unreasonable, arbitrary, or capricious. (h) A local government may suggest conditions to be placed on an approval, and the board will put these conditions in place unless it is found to be unreasonable, arbitrary, or capricious. If the board places a condition based on a local governments request, it is up to the local government to monitor for compliance unless the board provides otherwise. (i) consumptions endorsements must be renewed yearly by the application renewal process. I think these are a good start to allowing for a place to consume cannabis outside of private property. This will allow for tourists to have a place to consume while visiting Alaska without breaking local laws and possibly adding tickets to their travel expenses. This also supplies a place for consumers to gather with friends recreationally in a safe secure environment. The lack of allowance for concentrates although disappointing, is understandable to start with in a brand new market. 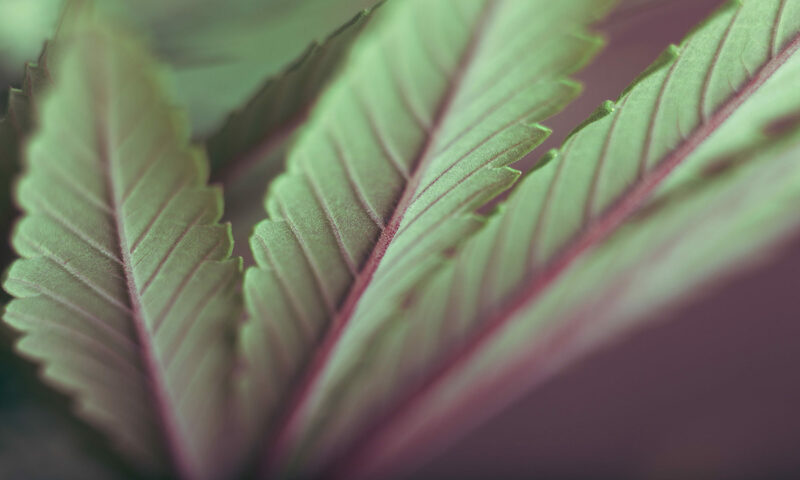 With many new consumers who are not aware yet of the effects of flower or low dose edibles, keep the heavy hitting at home or in a private residence, at least for NOW. I do feel this needs to be readdressed maybe a year or two after the adoption of these regulations. That gives the public more time to become accustomed to the effects of having a semi public place to consume and the fear of the potency of concentrates has settled some. Both the allowance for non infused food and drink as well as allowing the customers to leave with “left overs” are new additions compared to the last set of onsite regulations that were proposed. This makes me think of the possibility of having cafe’s where you can buy lunch and enjoy a smoke with coffee, or an edible as desert. This possibility is a step towards making cannabis main stream and not dark and scary for the new curious consumer looking for a safer recreational experience outside of the local pub or bar. (c)(B)(i) Which states that if smoking is to be allowed the ventilation plans must be signed and approved by a Licensed Mechanical Engineer. This may pose a problem as there are no standards yet set for this type of operation. The regulations need to state what standards those engineers are signing off on, or a licensee may be hard pressed to have anyone who is licensed signed and approve them. (27) “marijuana consumption area” a place designated within a retail establishments premises that holds a valid retail license as well as an onsite endorsement, that consumption of marijuana and some marijuana products excluding concentrates, to be consumed. (28) “retail marijuana store premises” means the area that contains both the retail marijuana store and the separated marijuana consumption area. The Next MCB meeting will be held on November 14th and 15th at the Dena’ina Center in Anchorage, in the meeting room #1 Katnu room.